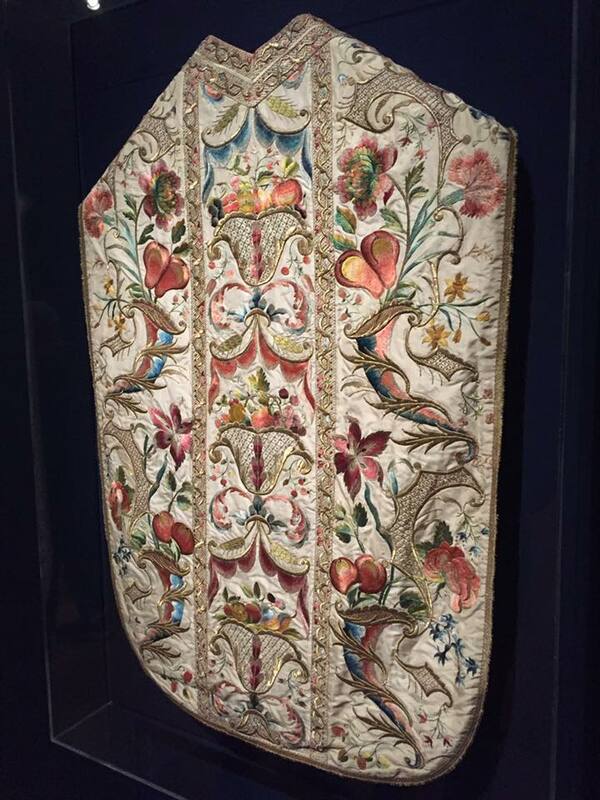 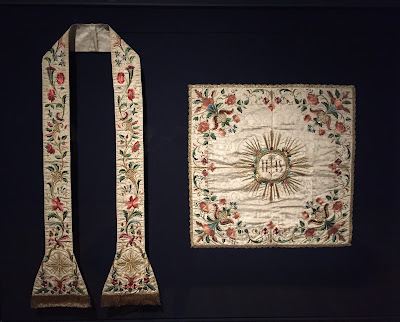 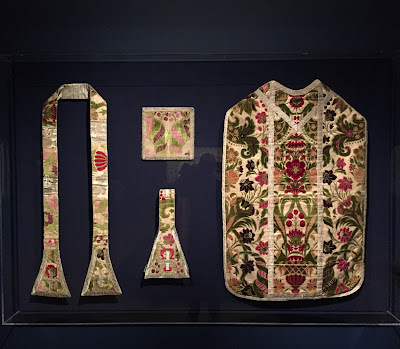 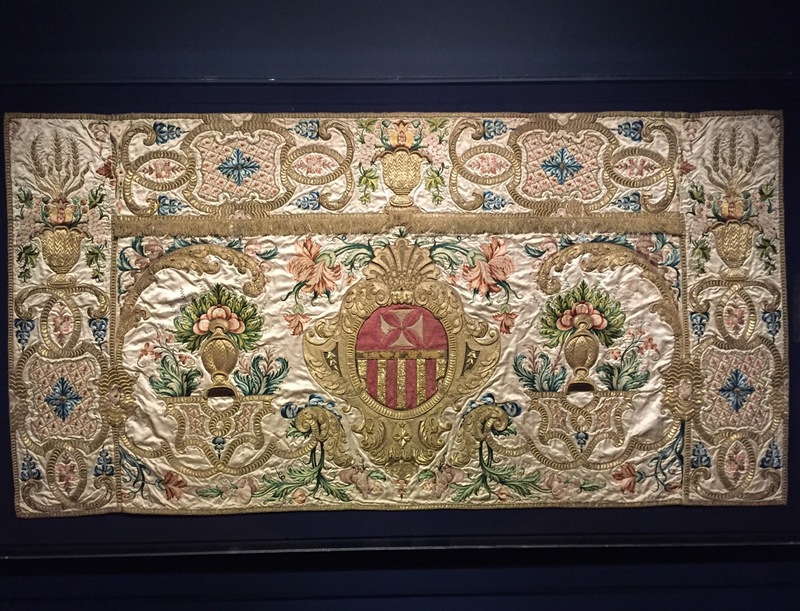 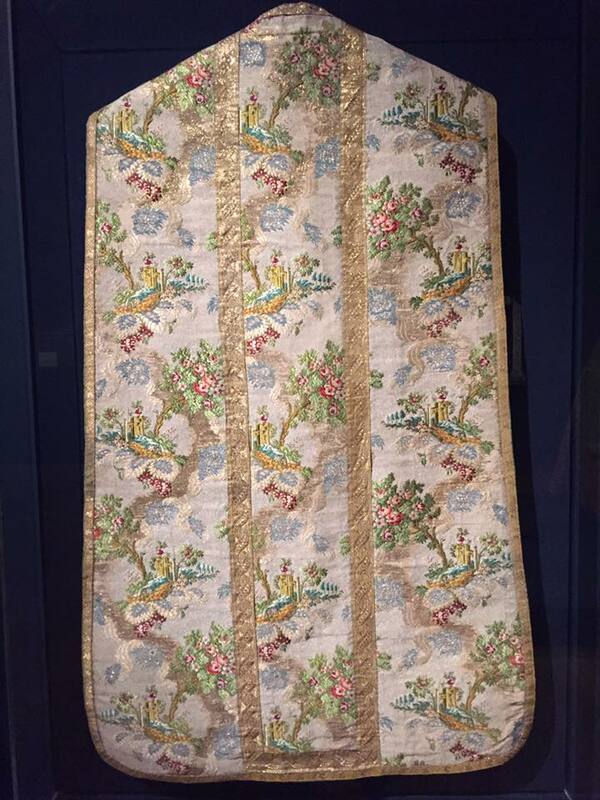 Thanks to our friend Jordan Hainsey for sending us these photos of an exhibition of vestments currently going on (until September 24) at the Cleveland Museum of Art. 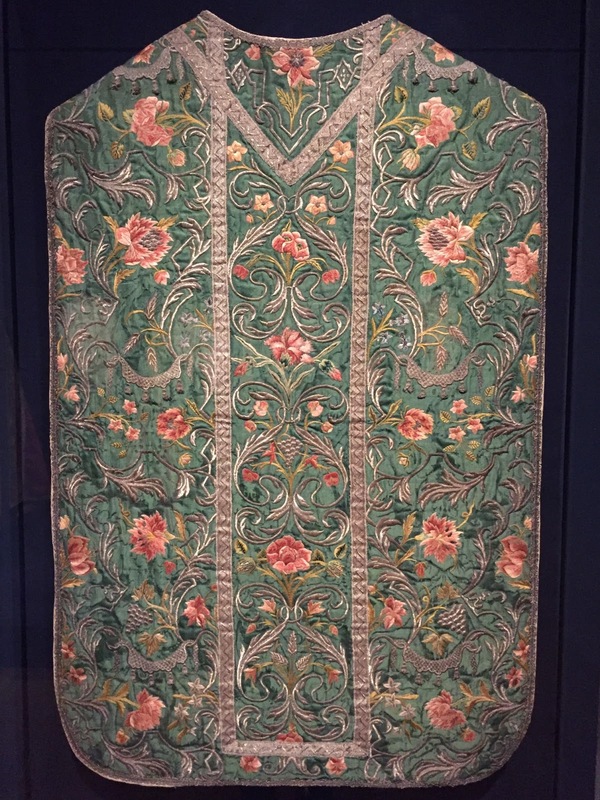 The title of the exhibition, “Opulent Fashion in the Church” leaves something to be desired; it sounds more like a show about the clothes people wore to church, nor is it really about “fashion”, since any of these things could of course still be used to this day, centuries after their creation. 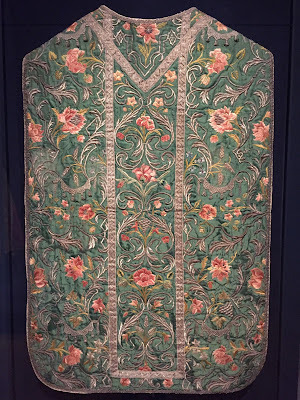 The items, predominantly of the 17th and 18 centuries, were donated in 1916 by Jeptha Wade, an industrialist and philanthropist who one of the founders of Western Union, and who also donated the property on which the CMA stands, as well as the large public park next to it. 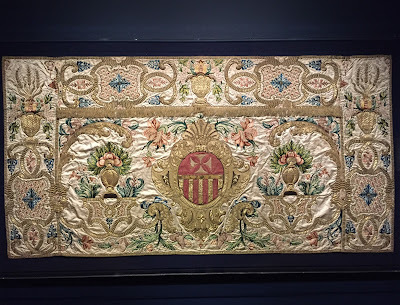 An antependium from a Mercedarian church in Spain, with the crest of the order in the middle.